264 p., 14,8 x 20,5 cm. This concise monograph by Jan Berg, whose significance far transcends his groundbreaking work on the study of Bolzano, for which however he is mainly known, provides a systematic reconstruction of Kant’s theoretical philosophy. In a critical study of Kant’s philosophy, he deals not only with individual aspects but also discusses the entire theoretical philosophy, not only the history of its development in the three major stages of Kant’s thinking but also the range of its subjects. 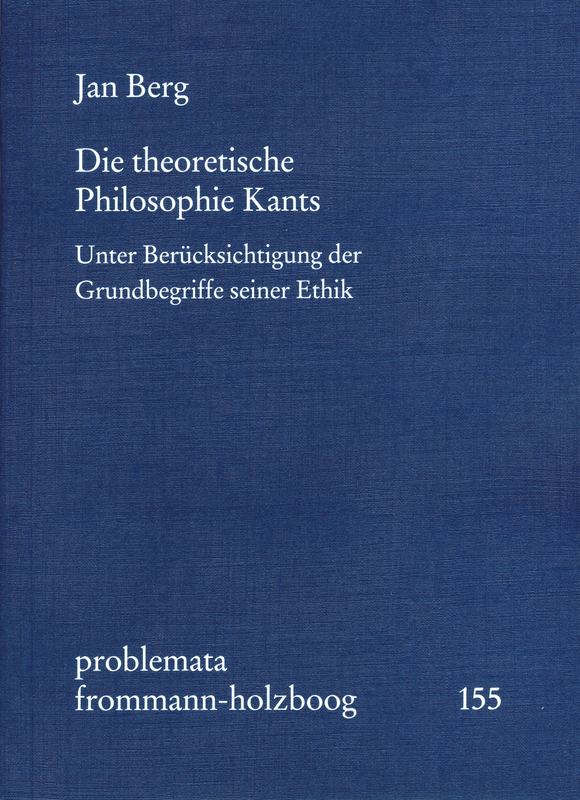 Since Kant’s moral philosophy is based on his theoretical philosophy, it is logical that the volume also focuses on Kantian ethics. Future research on Kant will find it almost impossible to ignore this book.